The vibrant procession made its way to the Chicanx House for Noche de Ofrenda. Photo by David J. Hawkins. The procession reaching its end by the community altar outside of the Chicanx House. Photo by David J. Hawkins. 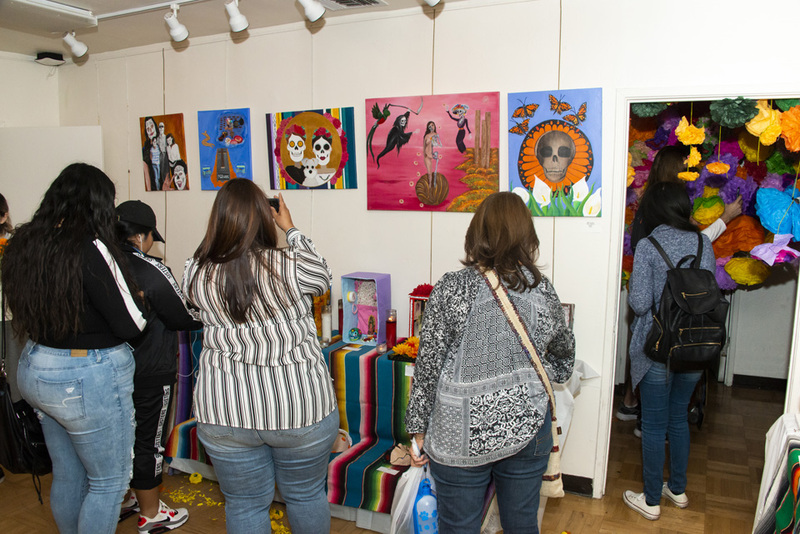 Guests were able to see the altars inside the Chicanx House decorated with flowers, sugar skulls and various items in honor of those who have passed. Photo by David J. Hawkins. 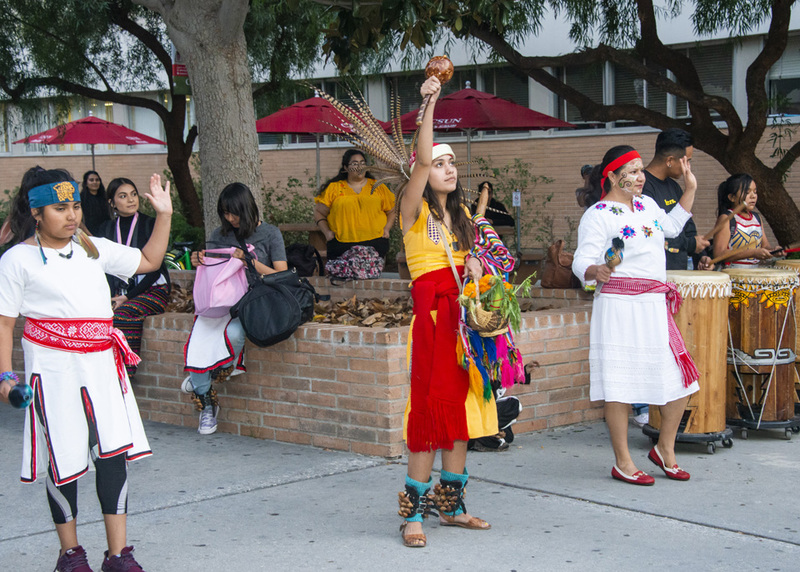 Aztec dancers lead the procession through campus, which started at Jerome Richfield Hall. Photo by David J. Hawkins. A dancer stands with a raised fist and a couple onlookers watch the procession. 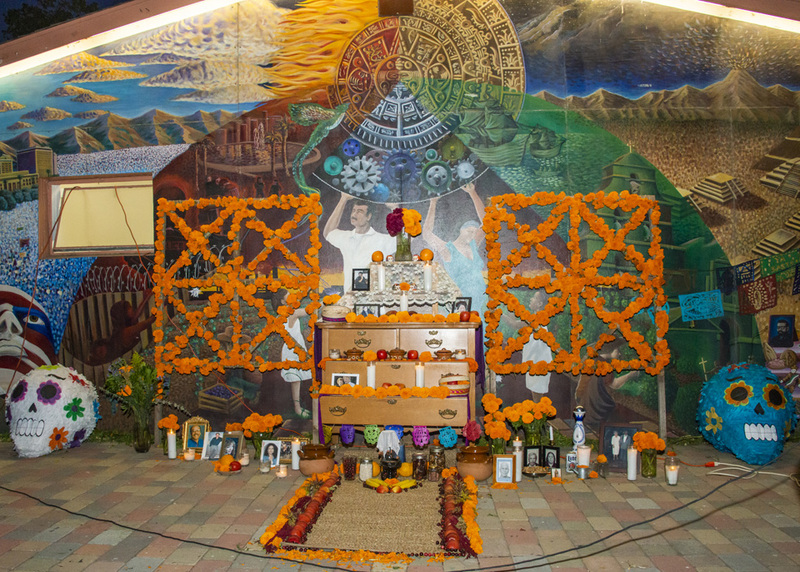 Art pieces were provided by students and the community to be displayed alongside the altars. Photo by David J. Hawkins. 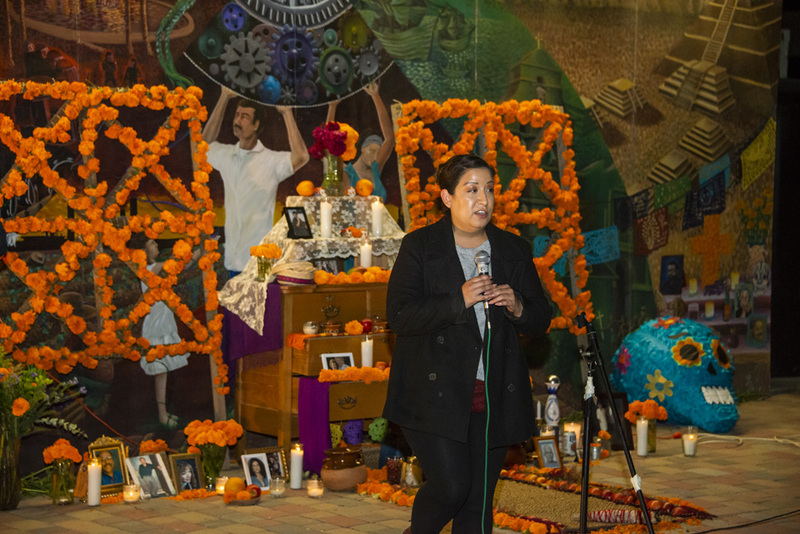 Those in attendance were invited to share their altars and reflections of their loved ones during the Noche de Ofrenda. Photo by David J. Hawkins. The community altar sits outside the Chicanx House where guest placed flowers, candles, photos, and other items as an offering. Photo by David J. Hawkins. The procession of Aztec dancers led those in attendance to the community altar outside of the Chicanx House. Photo by David J. Hawkins. 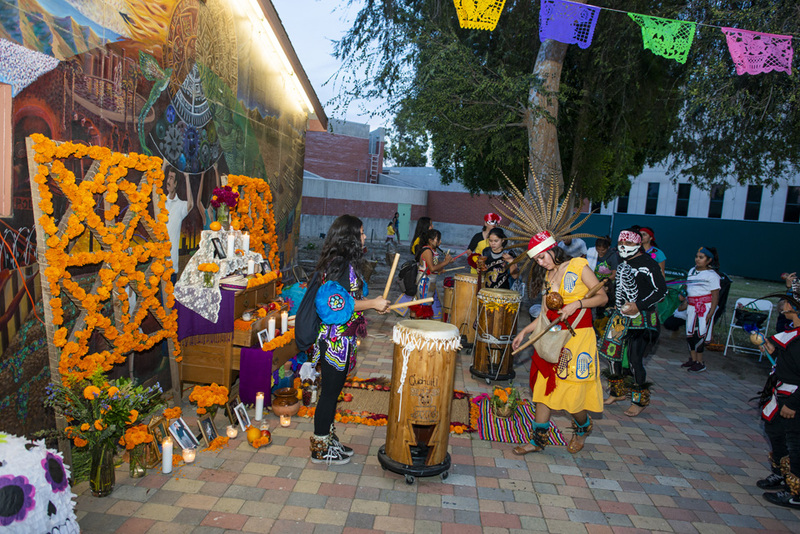 The Noche de Ofrenda was kicked off right outside the Chicanx House, where guests were treated to live entertainment. Photo by David J. Hawkins. 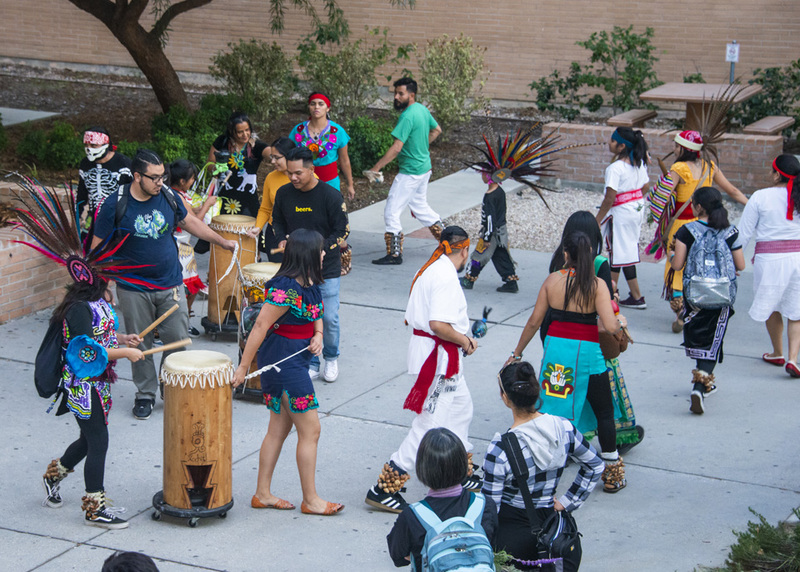 Students watched and even joined procession of dancers leading the way to the Noche de Ofrenda. Photo by David J. Hawkins. 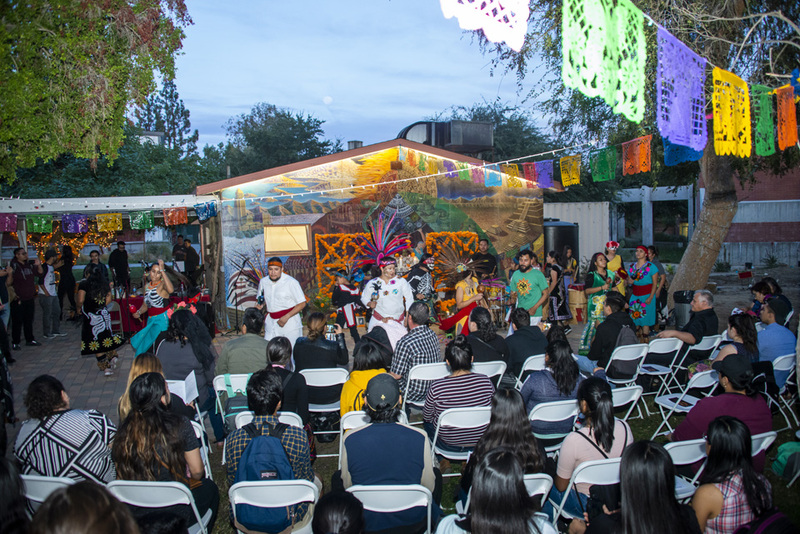 The CSUN Chicanx House hosted a two-night Dia de Los Muertos celebration. Students, staff, and members of the CSUN community were invited to the free all-ages event in remembrance of friends and loved ones who have passed away. Nov. 1 was the Noche de Ofrenda, or night of offering. The event began with a precession led by Aztec dancers starting in the lobby of Jerome Richfield Hall, ending at the Chicanx house. 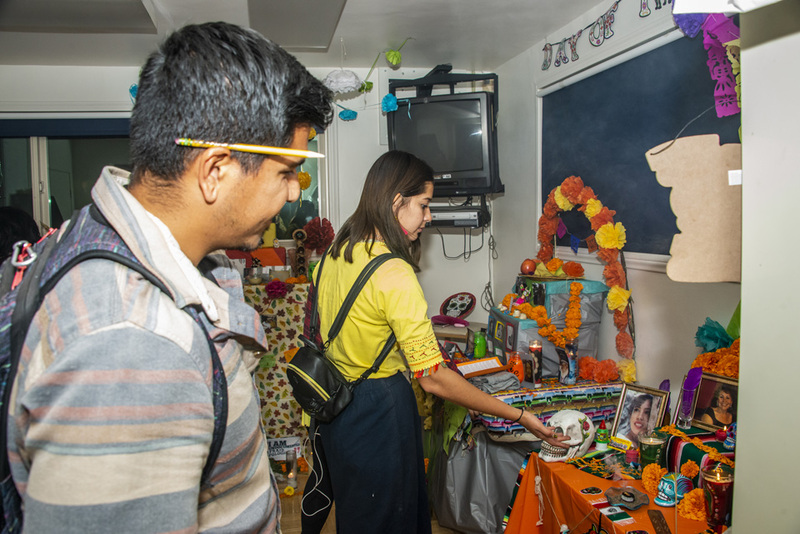 The Noche de Ofrenda offered an opportunity for the community to view several altars set up by students and staff in both the Chicana/o Studies department, and the Art department. The community altar was a space in which guests were allowed to place photos, candles, or any other item in remembrance of a loved one. 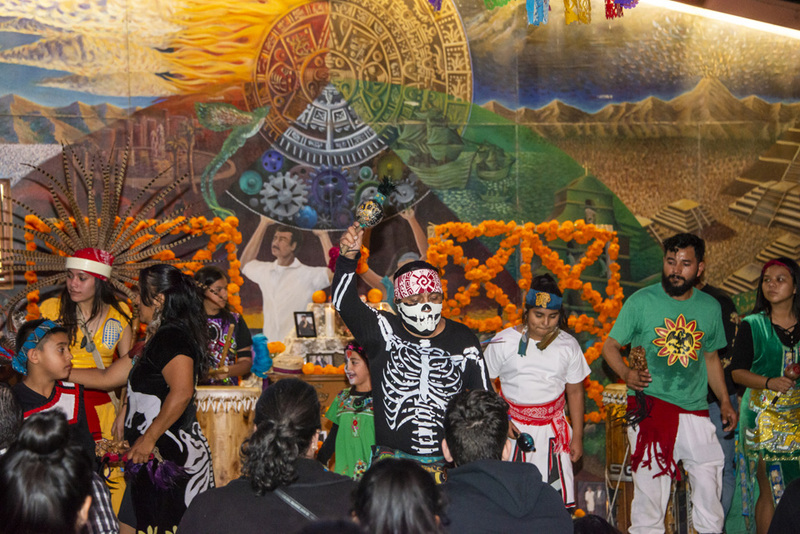 Nov. 2 was Dia de Los Muertos, a night of celebration and community. The night featured several art and food vendors, face painting, a children’s corner for arts and crafts, and live entertainment. 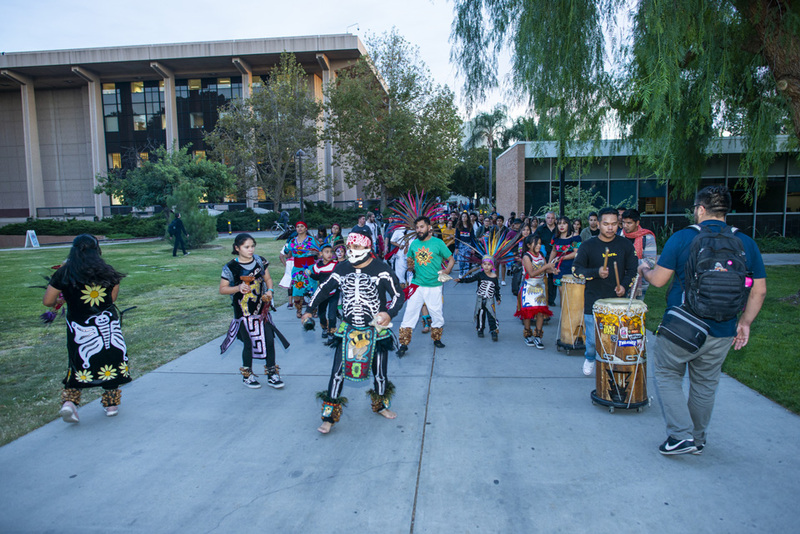 Students and faculty from the CSUN Chicana/o studies department, in collaboration with the student organization El Movimiento Estudiantil Chicano de Aztlan (MEChA de CSUN), organized the event.